The drive to Samaipata is paved the entire way. Although you can easily take a shared taxi to Samaipata, it’s well worth paying a private taxi or van (Bs. 700 or $100 US dollars round trip, all day) or rent a car, so you can make as many stops as you want. And you’ll want to... for the photo opportunities alone. It is a 120 kilometer (75 mile) drive, that can take between 2 and 4 hours depending on the weather and road conditions, as the area is prone to rockslides. Click here to read up on everything you need to know before you go such as what to take with you, and other tourist information. If you don't plan to drive on your own, click here for information on how to get to Samaipata. We've included a video at the bottom of this page in which you can see the entire route from a dashcam, sped up to just 17 minutes. Click here for a map with driving directions to Samaipata from Santa Cruz. The drive to Samaipata is beautiful and just as interesting as arriving at your destination itself. As you leave the city, you’ll pass through La Guardia and El Torno. If you’re not in a hurry, it’s a great place to stop and buy some fruit from one of the many vendors that line up along the road. Or buy an ice cream cone and enjoy a lazy hour at the central plaza (just to the right of the road) while you people-watch for a while. Further on you’ll pass by several restaurants where you can enjoy a hearty meal of duck or any other grilled meat, wonderful side dishes and salads, and some great Bolivian beer as you enjoy lunch outdoors. As you enter the foothills and altitude increases, the temperature cools and is a welcome respite from the humid heat of Santa Cruz. Along the drive to Samaipata you will pass through several quaint towns where you can watch children as they play soccer at their school, or stop to buy fruit at one of the many palm-leaf covered fruit stands. Stop to cross a hanging bridge and admire the red waters (the soil is clay here) of the river below. You’ll drive by several gravesites along the road adorned with flowers and colored plastic décor. In Bolivia it is customary to bury the dead above ground. You may also see small crosses adorned with flowers every once in a while at the edge of the road. These are sites where accidents have happened and serve to remind you, or your driver, to drive carefully. Be sure to stop at El Portal, a rock formation shaped like an oval portal. Here you’ll see the deep reds and oranges of the clay in the soil. Take a photo – they almost always come out very nicely, even when it’s cloudy. Past the half-way point you’ll come to a curve in the road called Cuevas (the caves). To the right of the road is a parking area where you can leave your car. You will cross to the other side of the road and if you hike far enough into the forest, you’ll come upon a series of sparkling tropical waterfalls. This view is well worth delaying your arrival for one hour. 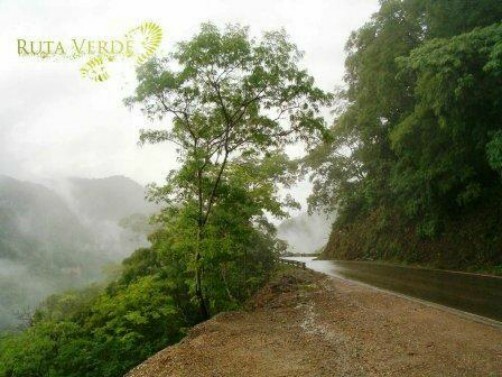 This is one of the most beautiful spots to stop along the drive to Samaipata and you should factor into your trip the time it will take to visit Las Cuevas. (Further ahead there is another waterfall that people often swim in, but that one runs right under the road). Further along, as you follow the many curves in the road, you’ll come upon several quaint churches, and some houses on the top of a hill. This may be one of the poorest nations in the world, but what a spectacular view! Just 10 minutes before you arrive in Samaipata, take a road to the left that will lead you to El Fuerte de Samaipata (the Fort). A pre-Colombian archeological site, it is the largest carved stone in the world and was named a Heritage of Humanity site by UNESCO. The road up to El Fuerte is steep and not paved. You will need to drive in very low gear and drive carefully. At the end of the road there is plenty of room to park. Pay the entrance fee, and spend an hour or two exploring. Please, DON’T cross the rope barriers, and DON’T climb the rock! You’ll soon arrive in Samaipata where you can rent a cabin for a few days, eat at a great European restaurant, do some horseback riding, and visit one of several artist’s workshops, gardens, and the Archeological Museum where you’ll see the objects uncovered during the excavation of El Fuerte. 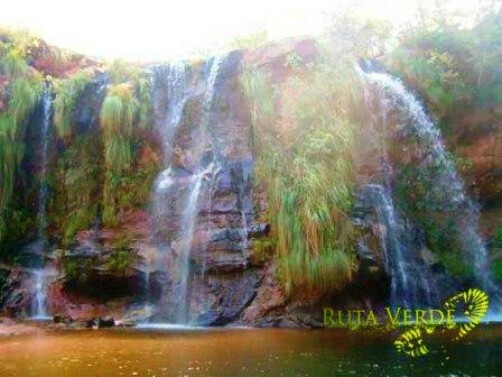 Ask your tour operator to arrange for someone to take you Pajcha, a waterfall about 1 hour out of Samaipata. And if you get a chance, take an extra day and stop for the day and a night at Espejillos just an hour from Santa Cruz on the same road you'll drive to Samaipata. Are you adventurous enough to drive to Samaipata on your own? Click here for a map with driving directions to Samaipata from Santa Cruz. This guy filmed the entire 120 Km (75 mile) drive to Samaipata on a dashcam and sped the video footage up so you can view the actual route from Santa Cruz to Samaipata in just 17 minutes. 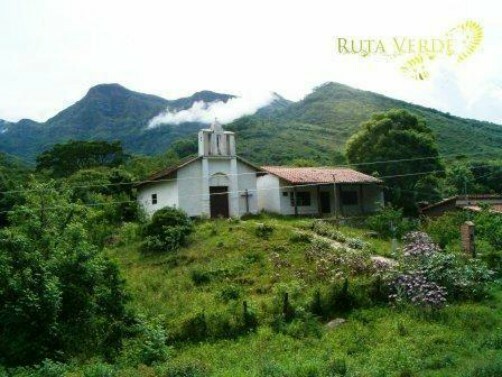 Or, contact Ruta Verde Bolivia for more information on this and many other amazing tours in Bolivia. The owners speak English, Spanish and Dutch.